Potatoes are one of the world’s key food crops. Their nutritional value, and the fact that they can be grown with relatively few inputs in a wide range of environments, makes them an important food security crop. However, yields in developing countries are held back by factors such as poor cultivation practices and the impact of pests and diseases, whilst more intensive systems need to become more ‘climate smart’ both to minimise their environmental impact and adapt to climate change. 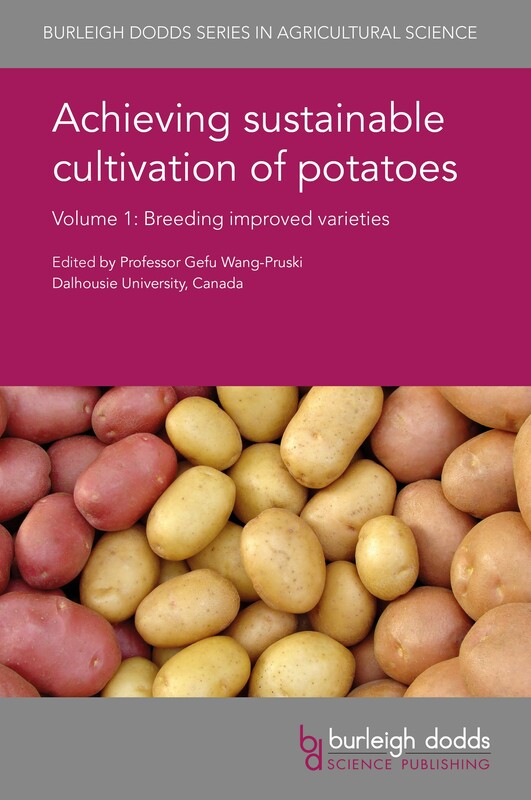 This volume reviews general developments in breeding as well as improving particular traits before discussing the challenges facing potato cultivation in particular regions. Part 1 assesses recent research on plant physiology and genetic diversity and their implications for conventional, hybrid and marker-assisted breeding. Part 2 looks at ways of breeding varieties with desirable traits such as stress resistance or improved nutritional quality. The final part of the book looks at ways of supporting smallholders in regions such as Africa and Latin America. Although a separate species, the book also includes selective coverage of research on sweet potato. With its distinguished editor and international team of expert authors, this will be a standard reference for potato scientists, growers, government and non-government agencies supporting potato cultivation. This volume is accompanied by a companion volume looking at production and storage, diseases and sustainability. "Sustainable potato cultivation means simultaneously addressing and resolving a complex set of varied and interlinked context-specific constraints. These books promise to rise to the occasion with a talented cast of authors who span the disciplinary spectrum from genetics, pests and diseases, cropping systems all the way through to nutrition and consumer perspectives."